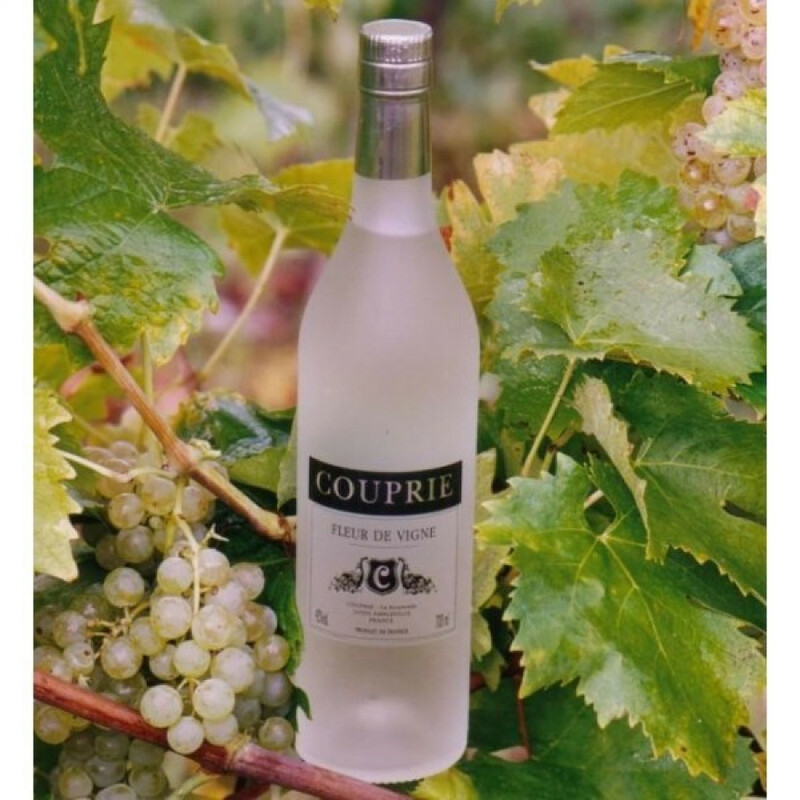 The clear color of thge Couprie Ead de Vie Fleur de Vigne is only the beginning of how different this drink really is. Made from grapes and double distilled, it's then reduced in stages to 42° without aging in the barrel. However, don't be fooled into thinking this means for anything less than a taste explosion, because the rich aromas and palate express all the delicay of the Ugni Blanc grape and the skill of the Charentais distillers. Best enjoyed chilled, a top tip is to serve in a frosted glass as an accompaniment to sorbets or chocolate. or why not enjoy neat to compliment smoked salmon! It's also great as a base for your favorite cocktail.